In that case would there have been a couple different ways to set up that equation, cause I feel like what I did was right, but it was a different set up from what one of my friends did. How do you find these old finals? I actually learned to calculate this and turned out it wasn’t on the final. But it’s good to know the concepts. How do we know when to use a pseudo-first-order method instead of calculating the second order rate law normally? I'm pretty certain that the variable A is also defined as the frequency factor. Would we need to know calculations related specifically to enzymes for the final or will we only need to know conceptual material? What is the split of questions on the final? Relatively how much of the final will be on older material (like Enthalpy and Entropy) and how much of the final will be on the newer material?? What kind of questions would we get asked on the final about adiabatic processes, would they all just be conceptual? Will the topic be on the final? The Syllabus told us to omit section 15.9 from our readings and there weren't any hw problems assigned on radical chain reactions. So to what extent do we need to know about radical chain reactions on the final? Would we just need to know the concept? Or is there anything else involved? The Reaction is Second-Order in terms of A, First-Order in terms of B, and (2+1) Third-Order overall. What is the best way to convert between different units of k? Would we ever have to convert k from L/ mol*s, into 1/ kPa*s? Do we have to know how to calculate the limiting step for test 3? Which hw problems focus on the limiting step? Topic: 3rd order, 4th order, etc. Re: 3rd order, 4th order, etc. Could someone give some examples of a 3rd or 4th order reaction that we might see on a test? I've only seen 1st and 2nd order reactions in the textbook really. Could someone explain what methods you would use to find k' in a pseudo reaction? Topic: Are there any textbook problems involving pseudo reactions? Re: Are there any textbook problems involving pseudo reactions? I didn't find any in the textbook, but this website has some pretty good practice questions at the end. To what extent do we need to know/ be able to draw graphs for the different reaction orders? I'm not sure where they got the reaction from. Also is there a similar example to this in the textbook, because I'm not sure what method to use to solve this. Is there a difference between enthalpy and molar enthalpy?? How would you covert one to the other? So if you are just given the grams of a strong acid and the volume of the solution, how would you calculate the pH of the solution?? Will we be given pKa values? Or will we need to memorize/calculate them?? When H+ is transferred in a reaction, is it concerted a bronsted or Lewis acid/base reaction? Is H+ always considered a Lewis acid? What method do we use to name the isomers as 1-, 1-3, and 1-4? In question number 23, Chapter 3, the textbook asks us to find the maximum positive and negative oxidation numbers for Chlorine. I think I'm just confused on the general method for deriving the maximum oxidation numbers. How do we figure out what the maximum oxidation numbers would be?? When do f orbitals come into play when considering chemical bonds and lewis structures? In the same way that atoms can fill up their d orbitals, can even larger atoms fill up their f orbitals too?? Also make sure that you memorize the equation or know the concept behind calculating formal charge, because Dr. Lavelle said that he won't provide the equation on the reference sheet!! Remember to use the equation, Fc = V - (L + s/2), where V = the number of valence electrons, L = the number of lone electrons, s= the number of shared electrons to calculate the formal charge of each atom in the molecule!! Will the Heisenberg Indeterminacy Equation be given to us for Test 3 or should we know it for the test? I had a similar question, which elements have the greatest tendencies to form Pi bonds and why do elements form Pi bonds instead of other alternatives? 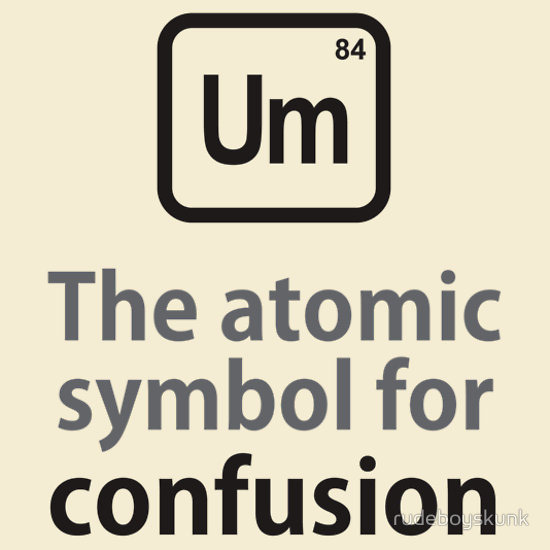 The only thing that you forgot was the stoichiometry, you need to convert the given data from kg/mol to J/atom ... Otherwise you are correct because the Work Function is defined as the Energy Required to Remove an Electron.